From aboard Ponant Le Soleal: Who cruises Ponant and why? Neil from Perth, Sue and Dennis from Arizona, myself, Noel and Elizabeth from Sydney. It's always an interesting survey to chat to fellow passengers aboard any of the world's diverse fleet of expedition and boutique ships and Ponant follows a similar pattern to that genre of softer adventure vessels offering higher levels of onboard amenities and comforts mixed with enthralling destinations. This second leg of my South American voyage sees Le Soleal sailing to its 264-passenger capacity. The make-up is cosmopolitan but predictably skewed toward French nationals and our Anglophone contingent of about 10 per cent comprises over-50s Australians, Brits, Germans, Americans and a couple from Hong Kong. It would be fair to call them either "well to do" or financially comfortable. No one is telling me they've scrimped and saved to be aboard. They understand you get what you pay for and, believe me, they expect it too. Despite our small number, all announcements and printed material is in both French and English. Hotel staff, lecturers and crew are either fluent in English or sufficiently bilingual to converse without hesitation. In contrast to many of the 'purist' expedition ships, our passengers have considerably more experience on conventional 'white ships'. They enjoy the comfortable offerings like semi-formal and flexible dining, superior cabin fittings and décor as well as ample public spaces like swank bars and lounges. 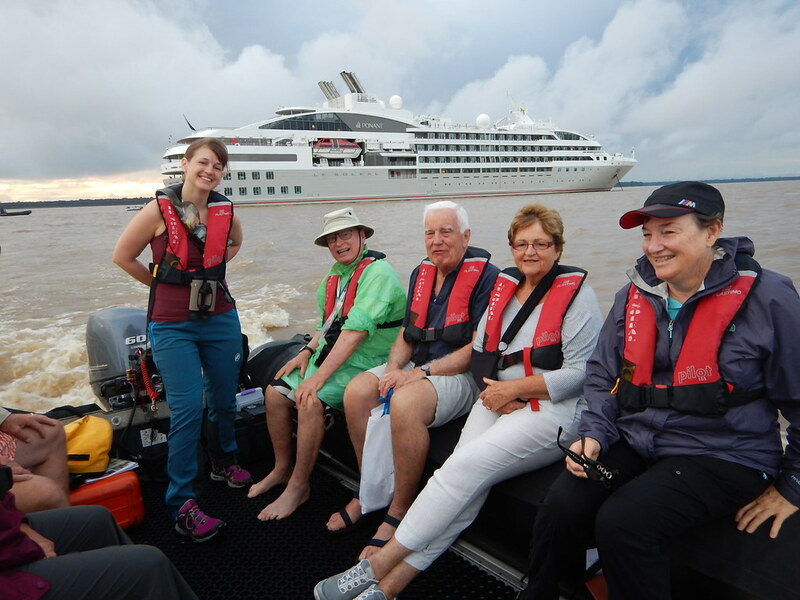 It's the smaller ship, fewer numbers and more intimate atmosphere that is a consistent comment among our group when citing Ponant as part of their brag-bag. "It's friendly and generally a good mix of passengers," says Liz from Sydney, a former Orion passenger on her third voyage with Ponant, now shunning the larger ships, "The variety of destinations and excellent excursions top it off." Nicholas, an ex-pat Brit from Hong Kong, loves to "stack 'em up" and frequently sails back-to-back voyages. He and his wife have an astonishing seven Ponant cruises lined up for this year alone. "We love to sail Ponant and when I apply all my loyalty discounts and early booking bonuses, I can get quite a saving," he says, "and the excursions cater for all levels of activity and ability, so there's always something for you even if you're not feeling particularly energetic." 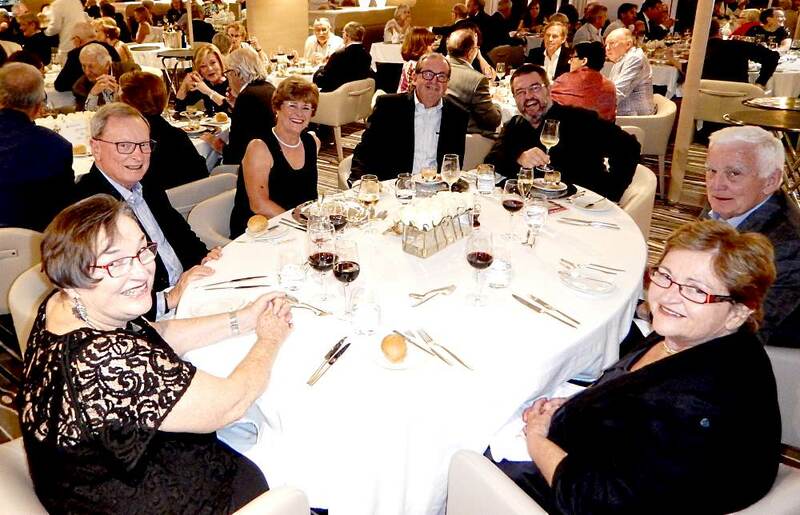 Margaret and Neil from Perth have eight Ponant cruises under their belt and Neil has developed a special relationship with Eric the sommelier. Many a cheeky wink is exchanged before a special bottle of Bordeaux is brought to the table. Although Margaret cites the itineraries, ship and excursions as her priority criteria, clearly Neil has an affinity with the French grape and Eric's comprehensive cellar. Now just to dispel that hackneyed cliché about travelling with Americans, Sue and Dennis are third-timers from Arizona and have seamlessly grafted themselves onto our Antipodean clique. Dennis is a big fan of the all-inclusive policy, not because he's a conspicuous consumer, but rather the peace of mind knowing there are no surprises come check out time. Sharp and inquisitive, Sue thrives on the enrichment given during expedition outings and lectures given by Ponant's expert team. As this is my third time aboard Ponant, it's now easy to see the attraction for those of a certain ilk. Dress code is chic but not ostentatious with an emphasis on comfort and practicality. Without too much exception, guests are worldly and successful in their own right with a wealth of lifetime experiences generously shared with like minds at mealtimes and without a sense of intimidation. Why not try your own Ponant experience? Talk to your preferred travel agent because there isn't too much of the world without Ponant ship exploring there at some time.